Following incidents like the Yuntaishan glass bridge in central China's Henan province cracking last September, the PR team behind China's latest bridge have had their work cut out. The solution? Invite journalists to take a sledgehammer to the bridge - literally. Follow the link for the video. 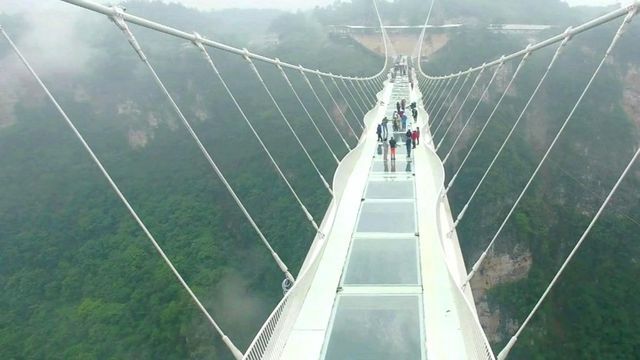 The world's highest and longest glass-bottomed bridge is expected to open next month in Zhangjiajie. BBC Click's Dan Simmons was challenged to smash his way through one of the panels used to form the skywalk.